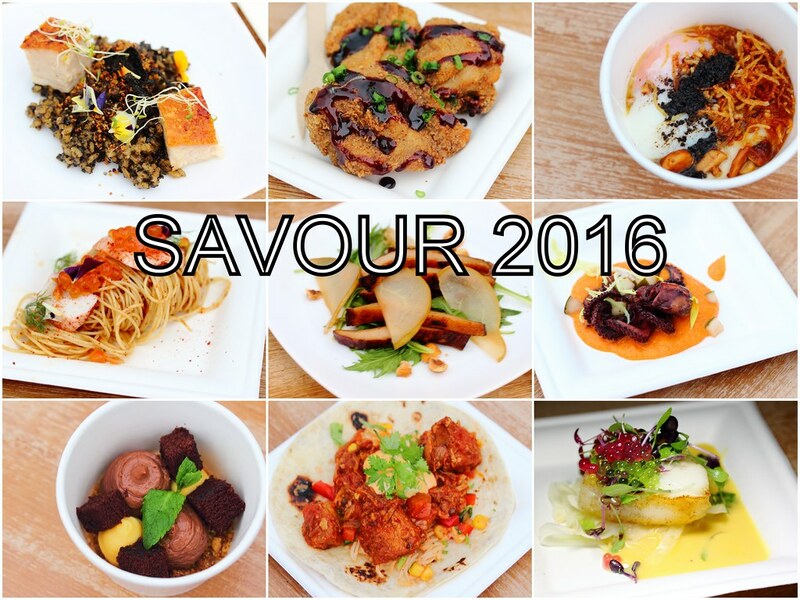 Savour 2016 is back again this year from 12 to 15 May 2016 at Bayfront Avenue, next to Marina Bay Sands Exhibition Centre. Unlike previous years, the entry this year is FREE! This year the event will also be focusing on our local talents and homegrown emerging chefs, dishing out their dishes at the 10 gourmet stalls located around the compound. 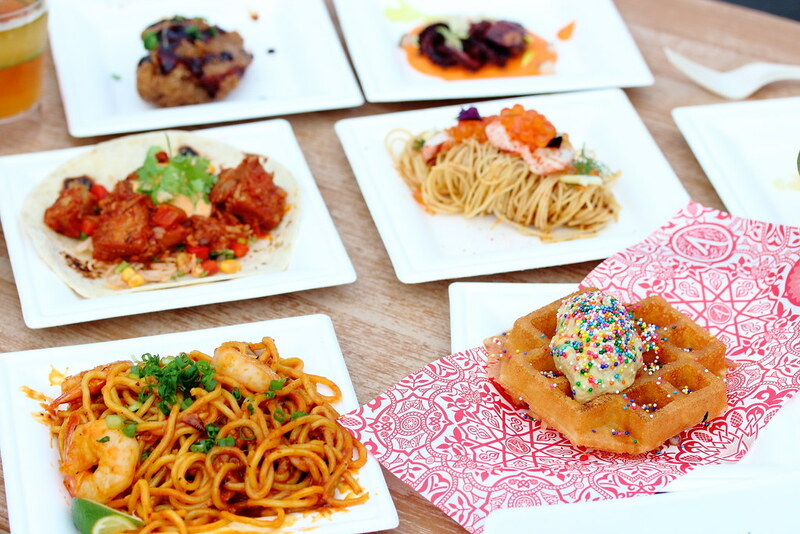 The 10 gourmet stalls offer up to 30 different dishes with pricing ranging from $6 to $12. 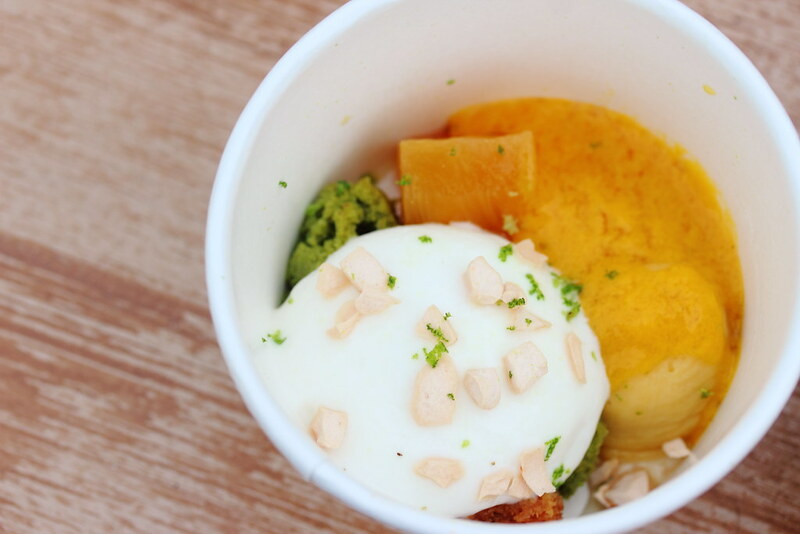 It may not be possible to eat your way through all the stalls. Even if you can, your wallet may hurts. 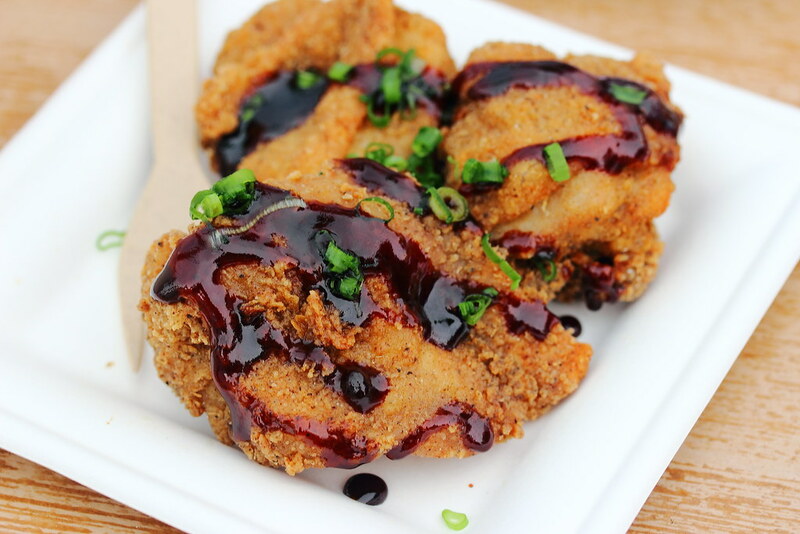 Hence here is a list of dishes that I think you should spend your dollar on. Siew Yoke Umami Rice ($12). 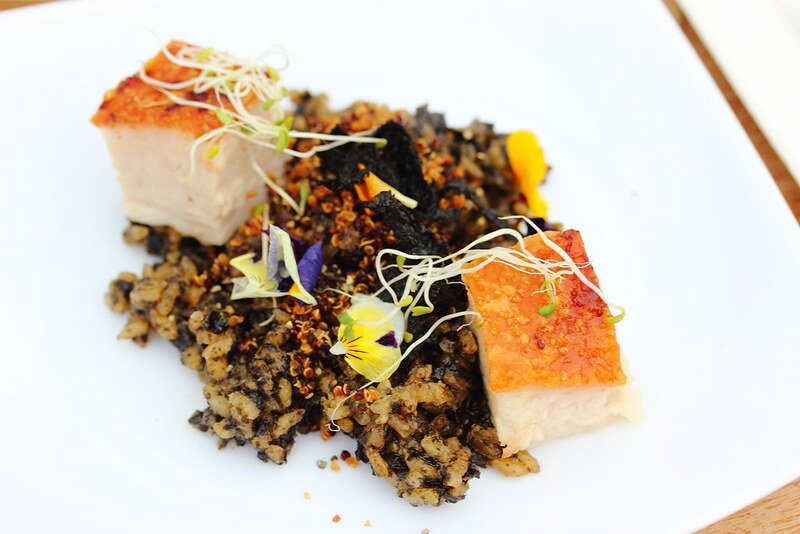 Roasted Pork Belly, Crispy Nori, Japanese Umami Rice. Angel Hair Lobster Pasta ($12). 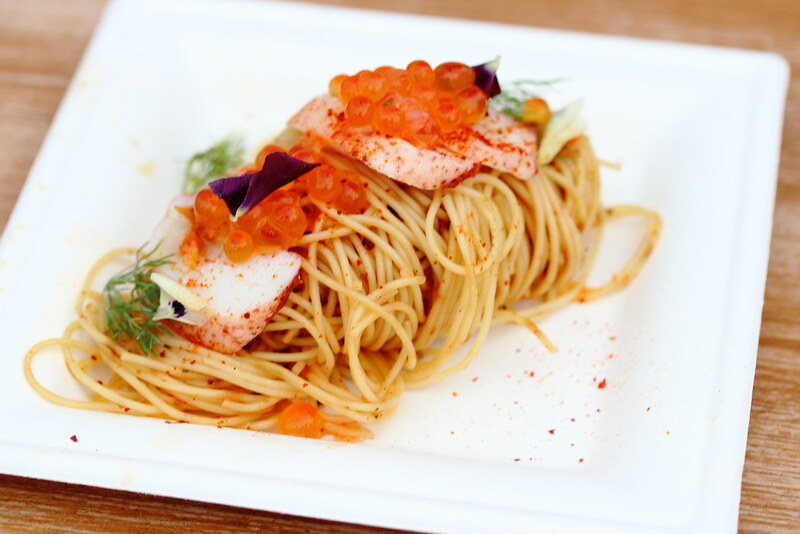 Lobster, Angel Hair Pasta, Fish Roe, Crispy Ebi. Egg Confit ($6). 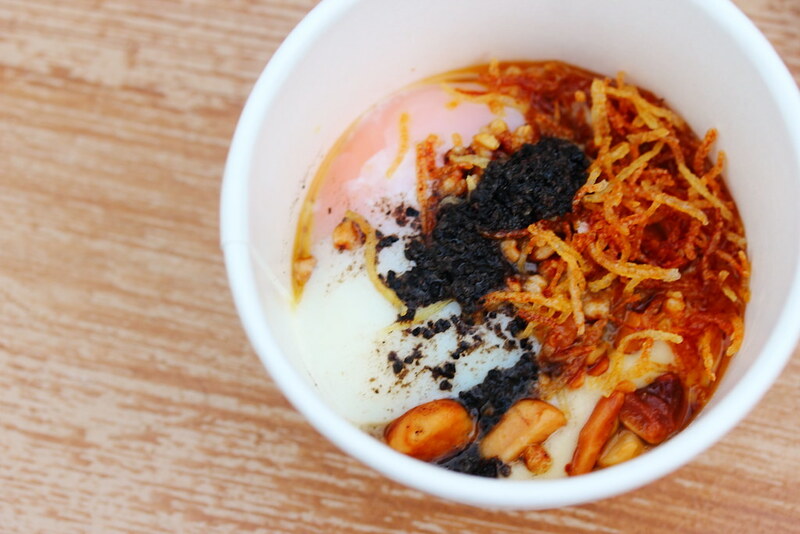 Egg, Truffled Potato, Mousseline, Macadamia Nuts, Brown Butter. Tropical Passion Fruit Sorbet ($6). Passion Fruit Sorbet, Mango Curd, Roasted Penja Pineapples, Coconut Sable, Cream. R&D's Fried Chicken ($6). 12 Spice Dredge, Gong Bo Sauce. Salted Egg Black Cod ($12). 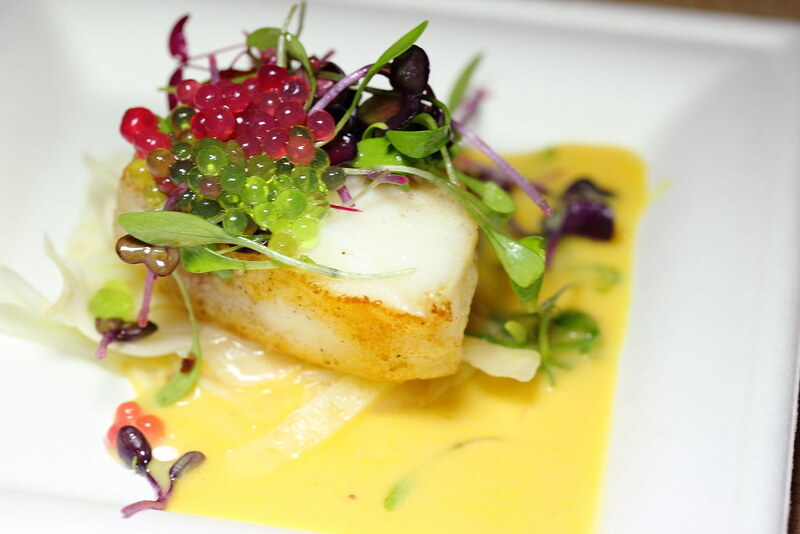 Pan Seared Black Cod, Salted Egg Veloute, Fennel Salad. Taco of Tempura Fish ($6). 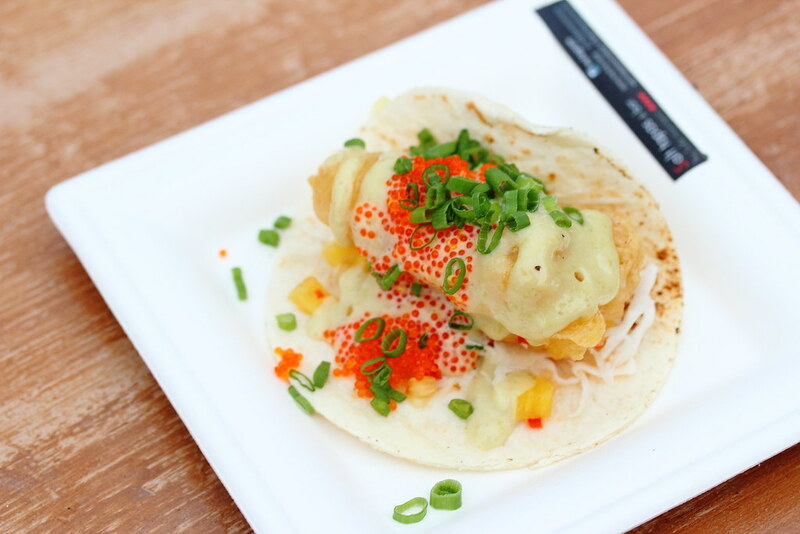 Tempura Fish, White Cabbage, Pineapple Salsa, Wasabi Mayo, Tobiko, Spring Onions. Iberico Pork Jowl ($12). 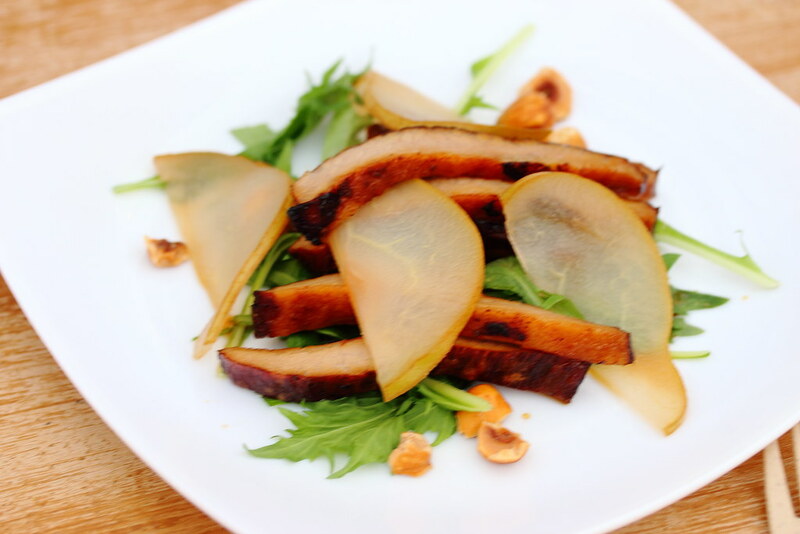 Pork Jowl, Tatsoi, Pickled Pear, Hazelnut Dressing. Wagyu Striploin ($12). 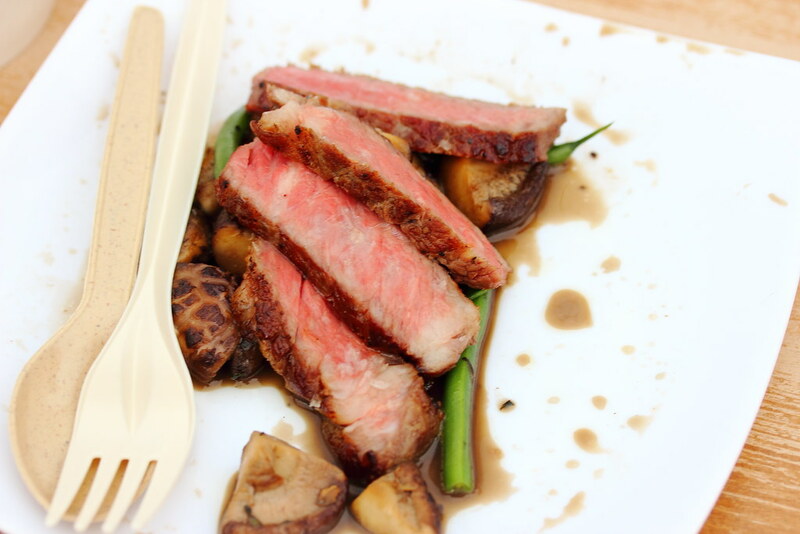 Striploin, Mushrooms, Beans and Truffles. Valrhona Chocolate Mousse ($6). 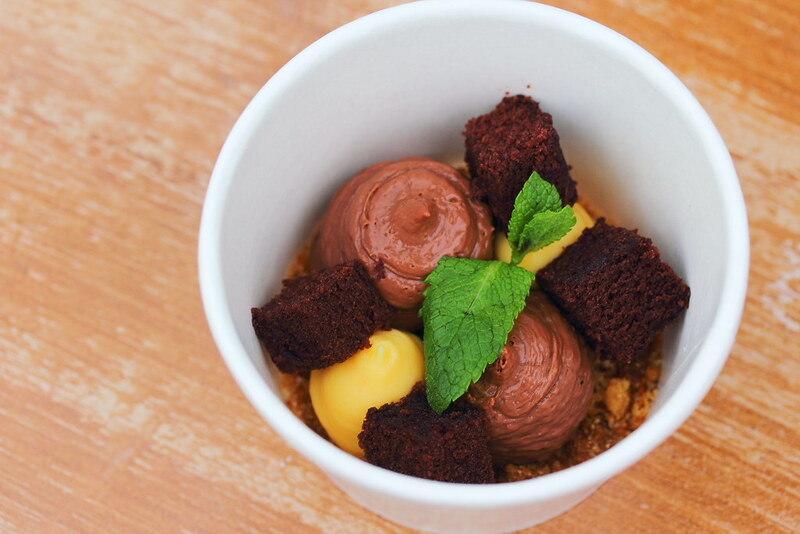 Chocolate Mousse, Passion Fruit, Almond Crumble. The venue can be quite hot especially in the day. 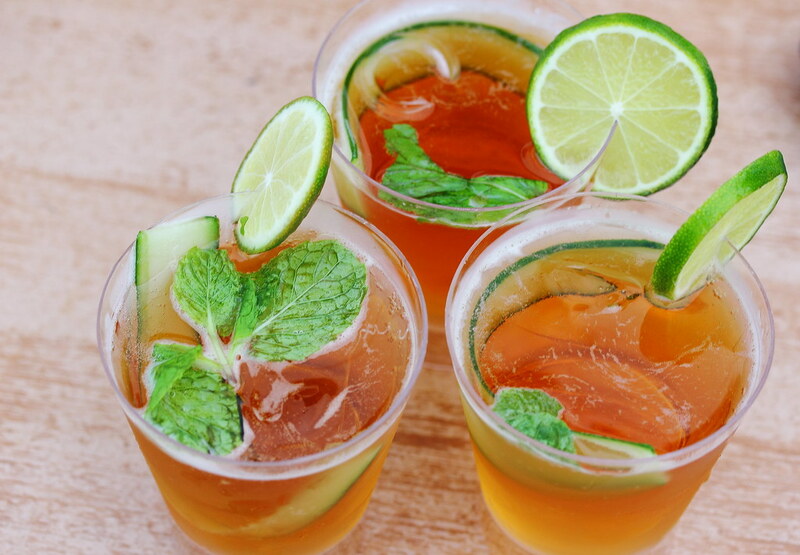 So do remember to check out the various beverage stalls around the venue. Not to be missed is the Martell booth for the refreshing cogna cocktail to cool off from the heat. Do also look out for Savour Wines happening on 8 - 11 September 2016 and Savour Christmas 17 - 20 November 2016.